Evangelist Louise Davis is a native of Texas. She is the daughter of Matilda and John Franklin Davis who provided her with a stable and loving home. She is the 4th oldest of eight children. At an early age she was taught about salvation, hard work, and to live a godly life. These values were instilled within her from home and the Lottie Church of God in Christ in Texas. They remain with her today at Emmanuel Tabernacle, under the Leadership of Pastor Mark Anthony Frazier, Minneapolis, MN. She is the mother of Harold & Brevvia Davis and three lovely grand-children, Kenny, Kayla and Taylor Nicole, all of Minneapolis. Evangelist Davis came to Minnesota 1959. Education was very important to her parents and her. She graduated from George Washington Carver High School in 1958. She continued her education by attending the Minneapolis Business Skill Center, receiving her Business Certificate in 1971. She went on to receive her Teacher Certificate with honors from the Charles Harrison Mason System of Bible Colleges, Church of God in Christ in Memphis, Tennessee where she received her certificate from the late Bishop J.O. Patterson in 1977. She has received many Certificates and Awards. Just name some of them: Mitchell Medical, Certificate, Good Hands awards, Allstate Insurance Company where she retired from almost 39 years, Bishop S.N. Frazier Award, Woman of the Year (2 time recipient), Ethical Awareness and Decision Making, Certificate, Workplace Violence and Crisis Management, Certificate, FCI Sandstone Federal Prison, Duluth Federal Prison Camp and the Women Workhouse where she volunteers for years. The list could go on and on. Her dream was to be saved always, and to be an Airline Stewardess. She never pursued her dream. God had something better. Evangelist Davis was saved early in life. She gave most of her life to the Lord and the Grand Old Church of God in Christ. She was appointed by Bishop Stanley N. Frazier, Jurisdiction Home & Foreign Mission president, president of the Missionary Circle where she served faithfully. Many missionaries have passed that way, and is now in the Ministry of the Lord well prepared. 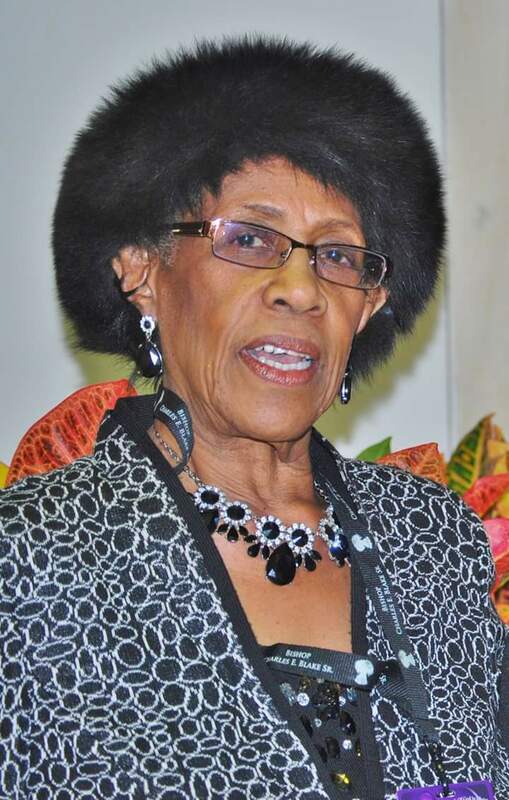 She also served as the Secretary of the 3rd Regional Home & Foreign Missions Department, State Volunteer Missions President, Steering and planning committee president by Mother Dollie D. Foster, State Sick Committee, Collectors & Distributors Group President. She was appointed to serve on the State Executive Women Committee by Bishop Fred Willis Washington until Supervisor was chosen. In 2010 she was appointed to serve on the Steering Committee under Supervisor Patricia A. Hayes. Evangelist Davis served one year as the S. N. Frazier District Missionary Ministry Team appointment by Supt. Darrick W.L. Granison until Supervisor the District Missionary was chosen. In 2011 Evangelist Davis was appointed to serve as the District Missionary of the S.N. Frazier Memorial District. Evangelist Davis will stand on Christian beliefs and values and not waver. She presently serves at Emmanuel Tabernacle under the leader Pastor Mark A. Frazier who constantly teaches a dedicated life of unity in the ministry. Evangelist Davis want to see as many as possible come to the Lord and to meet God in peace.